The Honorable Judge Bohm was gracious enough to allow Lone Star to present the award in his courtroom. for my work within the Southern District of Texas in 2017. Bias (Lone Star Legal Aid), Ryan Dove. 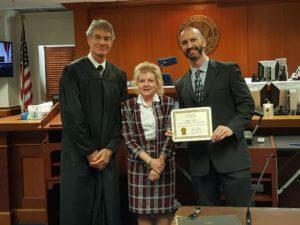 Judge Bohm was gracious enough to let Lone Star Legal Aid present its awards today in his courtroom.